I was incredibly lucky to be one of the 40-ish runners chosen to take part in the November 9th official runDisney meetup as part of the 2012 Wine & Dine Half Marathon weekend – and just because I heart all of you, dear blog readers and fans, I am going to take you along on the recap of that incredible morning, right now! So here…we….go! 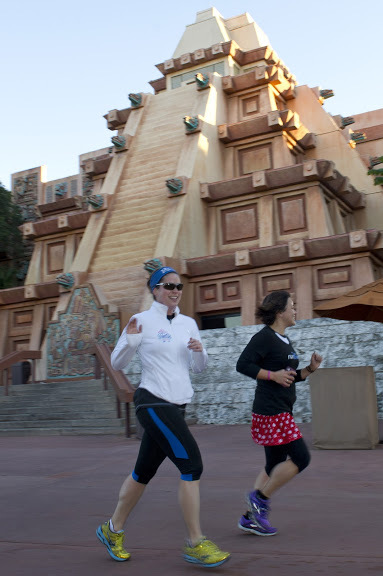 Friday morning started early – hubby and I were staying at Saratoga Springs Resort & Spa and I had planned on picking up my friends Pam and Christine (of the We Run Disney blog) at Coronado Springs, so I leaped out of bed at around 5:30 AM, buzzing with excitement! After a quick breakfast of cereal, I hopped into our rental car and headed out! At Coronado, I pulled into the Old Port Royale Food Court are and saw P & C…and another friend I recognized from the Team #runDisney group: Linzie! He asked if he could get a lift too and before long, we were a packed car, headed to the fun that awaited us at Epcot! At Epcot, we were treated to VIP parking – Row 3! After making our way through security, we presented our IDs, filled out waivers and were handed bags with official runDisney Champion tees! In addition to the excitement of the swag, I was absolutely starstruck by seeing many of my twitter/blogger friends IRL (in real life) including Kelly, Julie, Rachel and Heather (as pictured above). I even met runDisney Moms Panelist Lori (not pictured)! As soon as everyone was checked in, it was time for some intros and opening remarks. 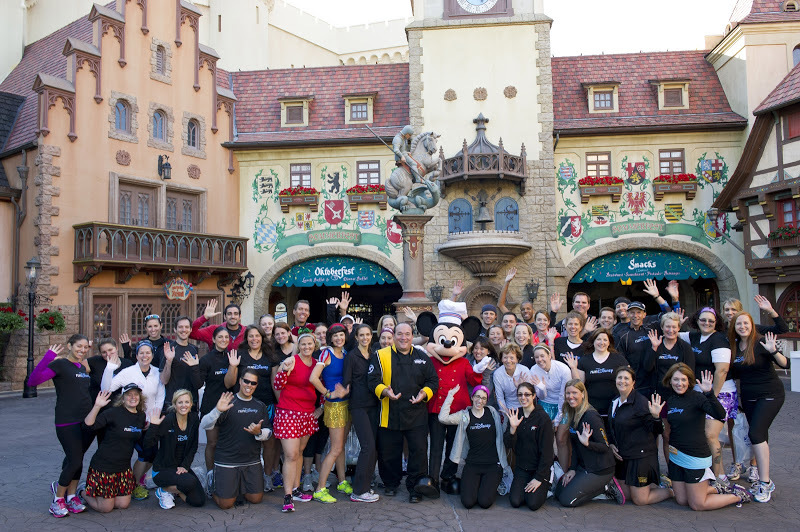 We were introduced to several key runDisney staff, as well as official runDisney training consultant Jeff Galloway! Before long, we were splitting into groups (it was a running meetup, after all) to run with Jeff or reigning champion Anton Van Zyl. I went with the Van Zyl group and we did just under 2 miles around the World Showcase lagoon. We naturally broke into different paces and in doing so, met a new friend, Katie! In a true show of just how much “it’s a small world,” I discovered in our running chat that she had recently moved to Richmond, VA – which of course, is just about an hour away from Charlottesville, where I live! Wow! 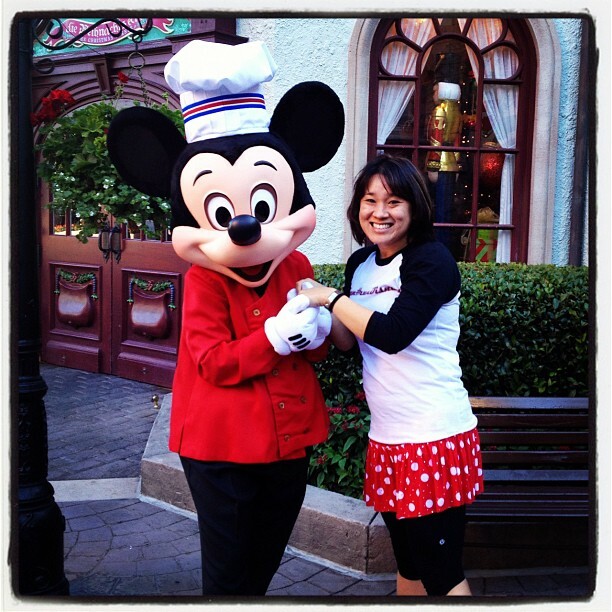 We chatted about her upcoming first marathon (WDW Marathon! Yay!) as well as running resources in the Central VA area – I let her know about #runchat, too! 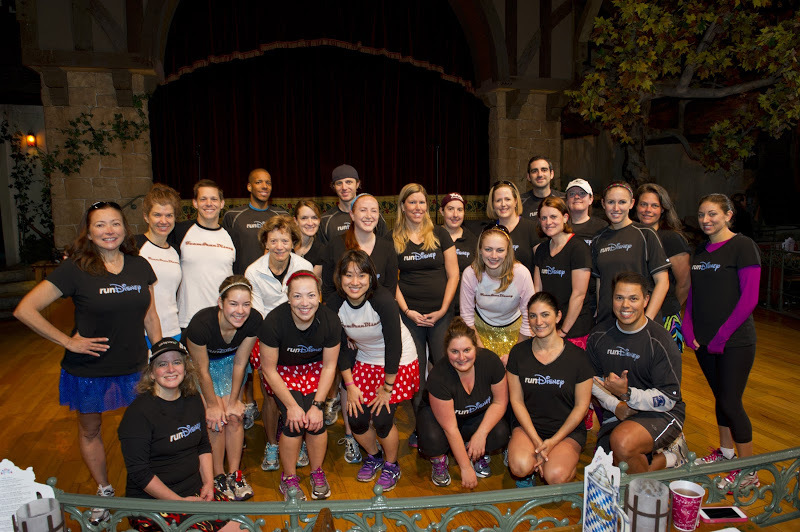 After our run around, it was time for the runDisney team to drop some knowledge on us – but not before a quick recharge snack of muffins, coffee and juice at our magical venue of the Biergarten in Germany! As we settled in, fellow members of the Team #runDisney group hopped down to the stage for a quick photo! After we got that pic in, it was time to be motivated by Anton, learn more about proper training with Jeff, learn about nutrition with the Diet Diva, Tara, and even try a dish from Chef Steff! The dish that Chef Steff prepared was SO DELICIOUS and easy, too! Basically, it was a “carb bar” – or a baked spaghetti pie! So many flavors, and they all worked together to create a nutritious meal that covered the necessity of good protein and carbs for pre-run! Before the event was over, we were handed additional swag bags that included awesome stainless steel runDisney water bottles, a $10 Disney gift card and a 1-day/1-park ticket to enjoy during Wine and Dine weekend! So cool 🙂 I was most excited about that ticket, as I had just purchased my Premium Annual Pass – I’d be able to take hubby into the parks that day! Fun! Before leaving the park, we took another group photograph at the Norway Pavilion around the Grete Waitz statue! Definitely a fitting for this running-filled weekend! 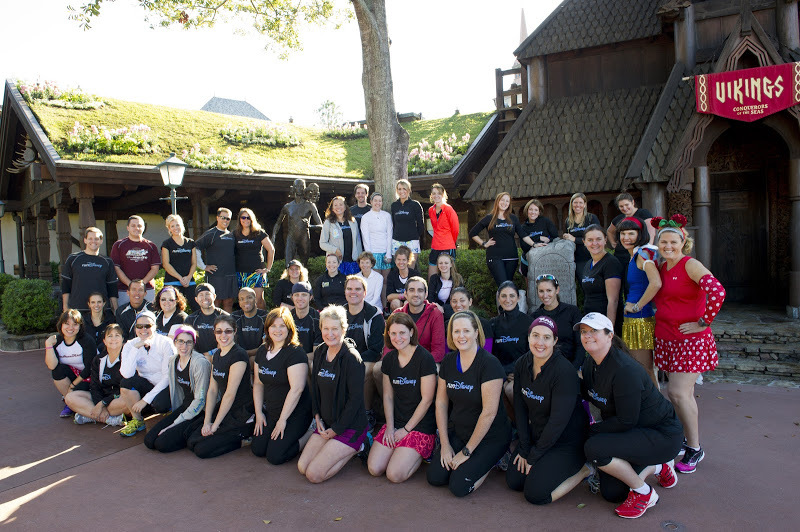 This runDisney official meetup was hands down one of the most magical experiences, ever. 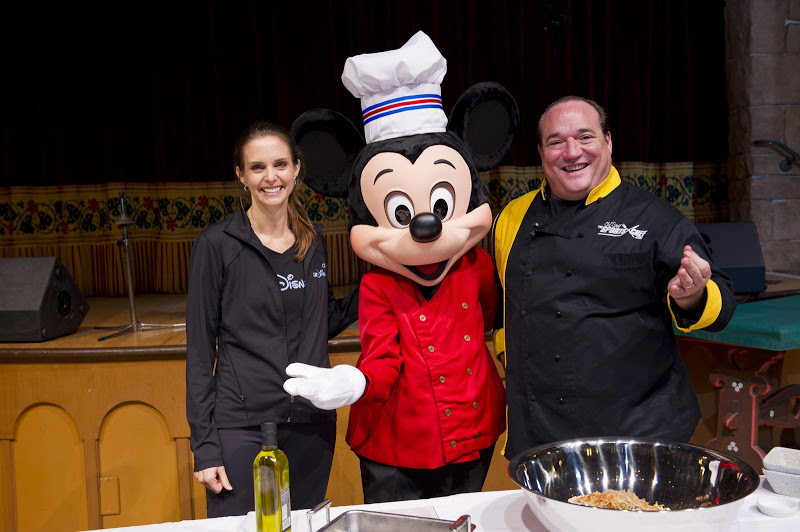 Not only did the runDisney team treat all of us as true VIPs, but it also catered to everyone involved – from the newbie runner to the seasoned marathoner! I met so many amazing people and the best part was it was the first of SO MANY incredible moments during the weekend. 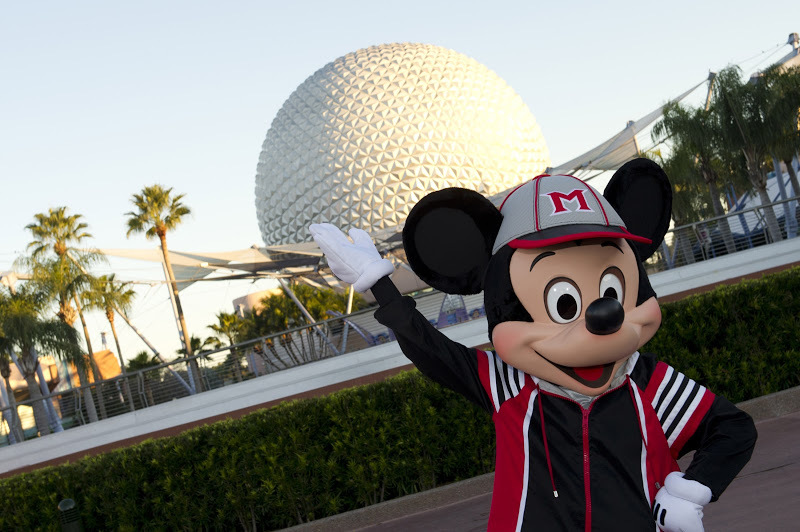 Thank you, runDisney, for such a great experience (and for all the incredible photographs, as well). I sure hope that I’ll be able to participate in another one of these awesome events in the future! I will not be arriving in Walt Disney World early enough if there is one for Marathon Weekend, but my fingers are crossed that the stars will align for me to get into one for Tinkerbell 1/2 weekend in Disneyland (here’s the info on this past year’s event)! 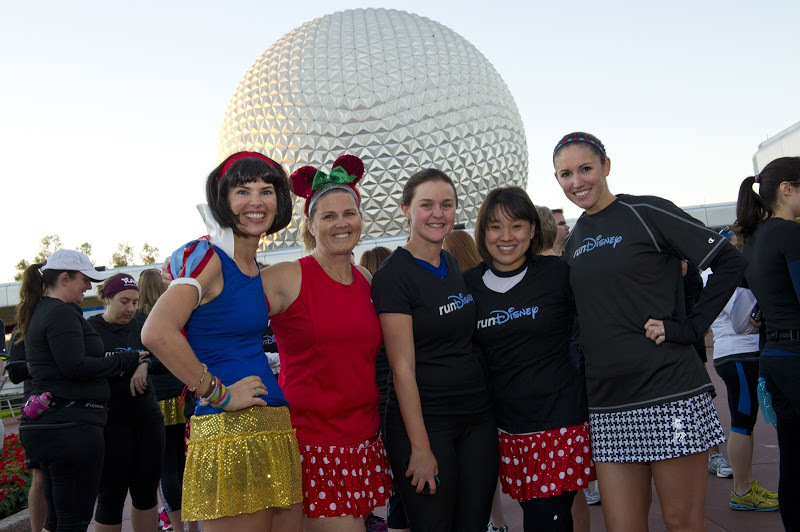 Have you ever attended a runDisney meetup? If not, for which race event would you pick (WDW Marathon Weekend, Tinkerbell Half, Princess Half, Disneyland Half, Wine and Dine Half)? What a cool opportunity. If you don’t mind me asking, how did you get involved in runDisney?? I became a huge runDisney fan after my very first half marathon during the 2011 Walt Disney World Half Marathon (more info on my personal blog: https://shiawaselife.wordpress.com/rundisney/). Let me know if you have any other questions and thanks for the comment!! How does one get chosen for these Meet-ups? Do you have to enter a contest or anything? Awesome!! Great recap. I loved following the tweets, etc on the meet up!! I was fortunate enough to do the Princess Half meet up last year and I’m crossing my fingers it’ll happen again. And congrats on your annual pass!! Mine just expired (boo!) but since I won’t be there again until Princess I’m waiting to get another one. Thanks, Emily!! 🙂 Hope you can get in to Princess, too, such a good time 😀 Hope we can meetup someday!!! !